One of the very first things the Rhode Island legislature enacted in the new session was a statewide sick leave law. The Healthy and Safe Families and Workplaces Act was overwhelmingly supported in a 59 to 11 pass on September 19, 2017. The new law takes effect on July 1, 2018. 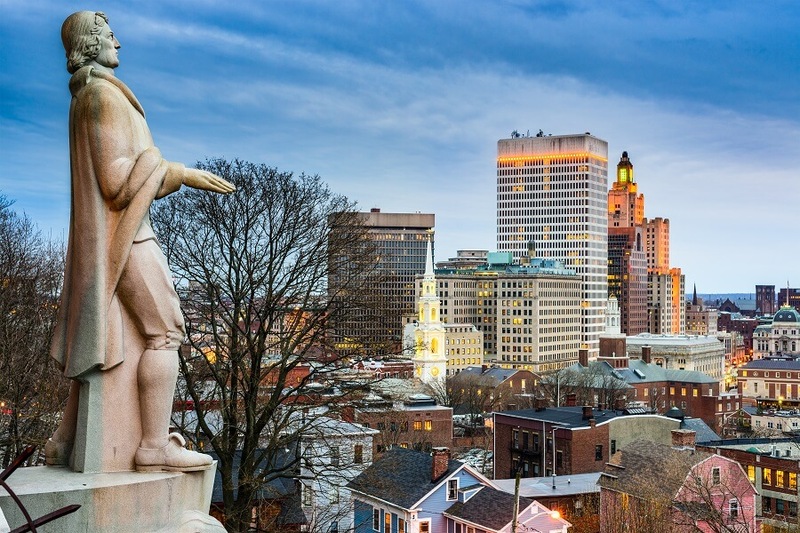 The Rhode Island Department of Labor oversees compliance with the new law. Employees earn 1 hour of paid sick leave for every 35 hours worked. The bill will eventually provide up to 40 hours of paid sick leave in 2020. The new sick leave ordinance covers any businesses that have at least 18 or more employees. All employees, whether part time, or full time are counted as a full employee count. Large employers, those with 18 or more employees, must provide up to 3 days (24 hours) of sick leave in 2018. In 2019, large employers must provide up to 4 days (32 hours) and 5 days (40 hours) in 2020. The law is unclear about small employers. It is assumed from language in the law that small employers, those with less than 18 employees must allow their employees to take unpaid sick leave. Employees of small employers must provide up to 24 hours of unpaid leave in 2018, 32 hours in 2019, and 40 hours after that. Exempt employees under the FLSA overtime requirements are assumed to work 40 hours a week for sick leave accrual. The bill excludes several employees. First, state and city employees are exempt from the law. Individuals not considered employees under the Rhode Island Minimum Wage Law. These employees include golf caddies, outside sales people, and some seasonal resort people. Additionally, construction employers are not required to provide paid sick leave to employees who are under a union agreement. Independent contractors and subcontractors are excluded. Federal work-study participants, interns and apprentices are also excluded. Nurses who work on a per diem basis employed by a healthcare facility. Sick leave can be used for a number of reasons and can be used for either the employee’s own need or for a family member’s need. It can be used for mental, or physical illness or injury, or health condition. It can be used for preventative care, medical diagnosis, care and treatment. It can also be used if the employee’s place of business is closed by a public official, or if the place of care or school of the employee’s child is closed by a public health official. It can be used to care for the employee or their family member if it has been determined that the employee’s presence in the community jeopardizes the health of others because of their exposure to a communicable disease. Diagnosis, Treatment, or Care of a physical or Mental illness, injury or health condition. When the employee or family member is a victim of domestic violence, sexual assault or stalking. If the employee or family member has been exposed to a communicable disease and would pose a public health risk. Under the sick leave law, employees can take time off to help care for a family member. The definition of a family member is very broad under the law. It includes close and extended family relationships of a spouse, child, parent and parent in law, sibling, and grandparents. In addition it also includes a care recipient and a member of the employee’s house as family members. Under the law a care recipient is someone that the employee is responsible for providing health or safety related care. This includes helping that person to obtain diagnostic, preventative care and treatment. It also includes therapeutic health treatment and ensuring the person is safe following domestic violence, stalking or sexual assault. The law acknowledges half blood, biological, adoption, foster, and step relationships. Member of the employee’s household. Employees must be allowed to roll their unused, but accrued sick leave to the following year. Employers who don’t want to roll sick leave to the following year must pay their employees the balance of the unused, accrued sick leave and must provide the full amount of required sick leave at the beginning of the new year. For example, an employer can payout all the unused sick leave to their employees at the end of the 2018 year. However, at the beginning of 2019, the employer must then provide a full 32 hours to all employees of available paid sick leave. Although employees can roll sick leave to the following year, the law still only provides a maximum usage of 24 hours in 2018, 32 hours in 2019 and 40 hours in 2020 and beyond. Therefore, the purpose of allowing employees to roll over time appears to be so that they can take sick leave at the beginning of the year before additional hours have accrued. When employment is terminated, the employers do not have to pay out accrued sick leave. If the employee is rehired within 135 days of separation from their employer, then all previously accrued, but unused sick leave must be reinstated. In the case of rehire within 135 days, there is no additional waiting period for the employee to have access to accrued sick leave. Employers can provide employees with paid time off (PTO) that more expansive than the Rhode Island Sick Leave Law requires. However, employers must still make sure that they allow their employees to use the pto for the allowable reasons under the Rhode Island law. Although sick leave starts to accrue on the first date of employment, new employees can be subject to a 90 day grace period if the employer chooses to implement that requirement in a policy. Temporary employees must be allowed to use sick leave 180 days after the commencement of employment. Seasonal employees must be allowed to use sick leave 150 days after starting employment. Employees should make a reasonable notice of sick leave and try to use it at a time that it doesn’t disrupt the employer’s business operations. However, if employers require notice for sick leave usage, they must provide employees with the policy around sick leave notifications and methods when sick leave is foreseeable. Employers can set the minimum increments for sick leave usage, but it should not exceed 4 hours. After an employee has used more than 3 consecutive days of sick leave, the employer can request documentation that sick time has been used for allowed purposes. Employers can’t require that documentation include details of the nature of the sick leave uses. Documentation can include a document by a healthcare professional, the employee’s written statement that they or a family member were a victim of domestic violence, sexual assault or stalking. In that case, it can also include a police report, a court document showing legal action regarding the violence, or a signed statement from a victim and witness services organization. Additionally, employees cannot use sick leave as an excuse to be late for work without an authorized purpose. The law does give employers the right to discipline employees who commit fraud by using sick leave for reasons other than provided by law, assuming the employer’s policy doesn’t allow for other uses. This includes when employees regularly take sick days just before or after weekends, holidays or vacations. The sick leave law also preempts local jurisdictions from passing any ordinances that would require more sick leave or greater benefits than are provided in the law. It also prevents cities from providing sick leave to employees who are exempt under the law. States are increasingly including a preemptive clause in statewide sick leave laws to avoid situations similar to California, where a state law plus local ordinances make it hard for businesses to stay compliant. Unfortunately, Rhode Island’s Healthy and Safe Families and Workplaces law doesn’t answer several questions. First, it names small employers, those with under 18 employees, as excepted to the rule but states that their employees must be allowed to take unpaid sick leave. Another unclear policy relates to lump sum sick leave award at the beginning of the year and sick leave payouts at the end of the year. It is unclear whether sick leave payouts refer to accrued sick leave only or to employers who provide a lump sum sick leave at the beginning of the year. In addition, other minor clarifications will hopefully be clarified when the final rules are released. Employers in Albuquerque who want to offer sick leave benefits to employees, but who are concerned with the expenses associated with this benefit can benefit from SwipeClock’s workforce management software to reduce optimize employee expenses. SwipeClock software also provides a way for businesses to more easily to comply with multiple conflicting City ordinances defining Sick leave accrual and usage laws. These businesses have to also comply with Federal Overtime Laws, the Family Medical Leave Act and any other national or local laws that are enacted. SwipeClock provides a comprehensive array of workforce management and time tracking tools that can help businesses to more easily stay in compliance with local and national laws.